Eighteen months after joining Wattpad, my stories have now reached an unbelievable total of 255K reads, with THE BRIGHT AND THE LOST alone close to 200k reads. While I’m still hoping to get my books traditionally published one day soon, I’m also eager to show my gratitude to my Wattpad readers. As a result, and after discussing it with my agent, I’ve decided to start posting online my YA Victorian Fantasy LILY IN THE SHADOWS. The first few chapters are now available on Wattpad here, and to my surprise, it has already been chosen by the Wattpad team to feature on their “Blast to the Future Past” list as part of the June 2018 Wattpad Picks! I’m absolutely thrilled readers seem to be enjoying this story, and I’m now posting a new chapter every day. If you’ve been following my writing journey for a while, you may remember LILY IN THE SHADOWS has a long history. I wrote the first draft in 2013, and after querying it, it’s the manuscript that landed me my first agent. Many drafts and quite a few years later, the heart of this story about a deaf flower girl in a London gripped by a magical crisis remains the same, but thanks to many rounds of revisions based on CPs’ and agents’ feedback, the plot and writing have changed a lot. Despite never finding its way to a publisher’s desk, this story remains the one that taught me a lot about writing and revising. A YA Historical Fantasy set in Victorian London that mixes magic, romance and mystery. It’s 1862, and London high society’s favourite pastime is magic spells. But between trying to make a living as a flower girl, dodging local gang leaders and coping with the fact that she’s deaf, sixteen-year old Lily Scott has no time for such lofty things. The last thing she needs is a strange epidemic killing all the flowers in the city. 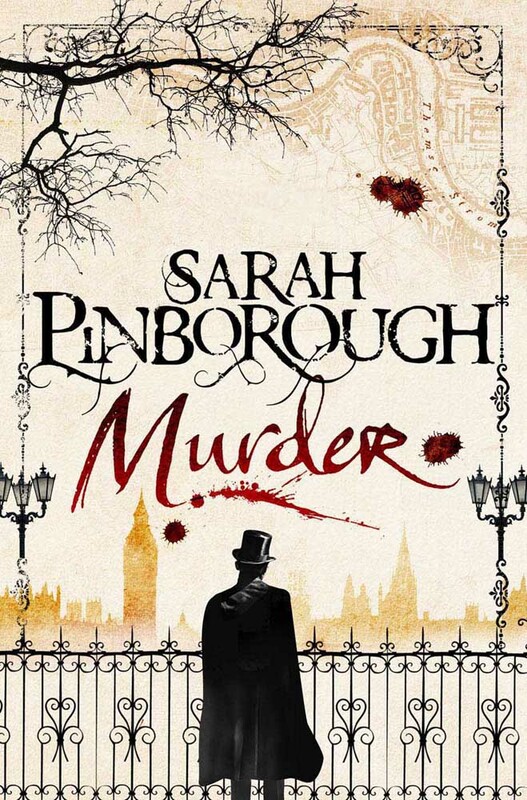 Out of a job and threatened with starvation on the streets of Whitechapel, Lily decides she can’t leave it up to some stuffy British Museum scientists in top hats to help. Determined to solve the mystery of the dead flowers, Lily quickly finds herself in over her head as children disappear, librarians get killed by spontaneously combusting books and newspapers blame the phenomena on ‘dark magic’. Soon panic sweeps across the city, and Lily’s investigation becomes deadly when bombs go off everywhere she turns. From East London where the fog takes on a life of its own, to the gardens of Buckingham Palace which have been turned into a haunted forest, Lily needs to follow the clues and learn magic to sort this mess out before society collapses and she loses a lot more than her job. Historical drama set in the Yorkshire Dales. Inspired by the builders of the Ribblehead Viaduct in the 1870s, it follows a widow, Annie, who is left penniless after her husband’s death and decides to move to the shanty town of Jericho in search of work. Dubbed “Britain’s first Western”, it boasts interesting characters (with a strong female lead and a diverse cast), as well as an impressive set. However I found the plot slightly predictable. ITV cancelled the show after its first series, but these 8 episodes are worth watching. In the words of the BBC, it’s a “drama set within the fictional realms of Charles Dickens’ critically acclaimed novels, bringing together some of his most iconic characters as their lives intertwine in 19th-century London.” Bringing together characters from Bleak House, Great Expectations, Oliver Twist, and A Christmas Carol, among others, the 20-part mini series shows Inspector Bucket as he investigates the murder of Ebenezer Scrooge’s partner Jacob Marley. I thoroughly enjoyed this series, which cleverly brought together various famous novels by Dickens. It was very well written and it gave a prominent role to female characters (the young Miss Havisham being a fantastic lead). Each episode mixed mystery, comedy and tragedy, and if you like Dickens’ books, I really recommend you watch this series. Presented by the BBC as “a Victorian era supernatural drama series about a farm owner who yearns to prove the existence of the afterlife”, this series is the most recent of the three mentioned in this post. Starring Colin Morgan, the 6-part drama is about a pioneering psychologist who moves to his family estate after his wedding to a gifted photographer. As they try to keep the farm afloat, the young couple have to deal with strange and creepy events. Each episode touches upon Victorian topics (child labour, occultism, etc.) and mixes supernatural and historical events very well. 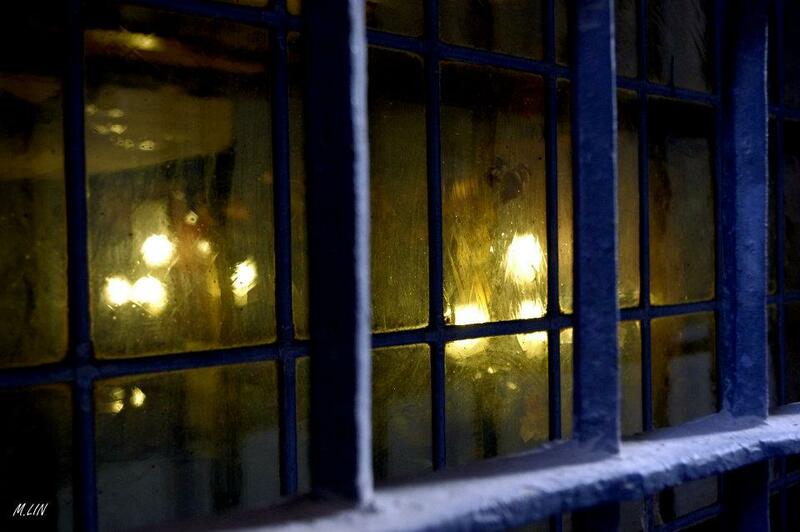 The main character’s slow descent into madness is incredibly well acted by Colin Morgan. And I loved the twist about the mysterious woman in red. I loved this series and I do hope a second one will soon follow. Have you watched these Victorian TV shows? What did you think? Any other TV series set in Victorian England I should be aware of? Feel free to leave me a comment below! today I’m waiting on A SHADOW BRIGHT AND BURNING (Kingdom On Fire #1) by Jessica Cluess (expected publication: 20th September 2016 by Random House BFYR). It’s a YA Historical Fantasy set in Victorian London – you all know how much I love those… And isn’t the cover amazing? Forced to reveal her power to save a friend, she’s shocked when instead of being executed, she’s invited to train as one of Her Majesty’s royal sorcerers. As she plays a dangerous game of deception, she discovers that the sorcerers have their own secrets to protect. With battle looming, what does it mean to not be the one? And how much will she risk to save the city–and the one she loves? Exhilarating and gripping, Jessica Cluess’s spellbinding fantasy introduces Henrietta Howel, a powerful, unforgettable heroine, and an entertaining world filled with magic, monsters, and mayhem. I’ve been tagged by the wonderful Katie Bucklein to participate in the Meet My Character blog hop. The idea is to answer 7 questions about my manuscript’s main character, then tag other writers. I’ve decided to take part with the main character of LILY IN THE SHADOWS, the manuscript which helped me sign with my agent. 1) What is the name of your character? Is she a fictional person or a historic person? Her name is Lily Scott and she’s a fictional person. I write YA Historical Fantasy, and it’s my way of bringing to life “regular people” who would never have made it in our History books. 3) What should we know about your character? 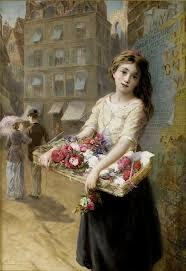 Lily is a flower girl – the kind who sold flowers on the streets of Victorian London for a living. She’s sixteen, strong-headed, sassy and independent. She lives in Whitechapel and because she’s been an orphan for a long time, she’s used to taking care of herself – and others. 4) What is the main conflict? What messes up her life? One day, all the flowers in London die. As I said in my previous answer, Lily wants to find out what happened to the flowers, in order to get her livelihhod back. Selling flowers is pretty much the only thing she knows, so she’s determined to get to the bottom of it all before she finds herself starving on the streets. Well, the working title is and has always been LILY IN THE SHADOWS. I participated in a couple of contests while querying this MS, which means the query and first 500 words can still be found online here. You can also read two interviews I gave about my manuscript here and here. One day soon, I hope! And now I tag the fab Sarah Glenn Marsh and Jessica Rubinkowski who are both working hard on their new Work In Progress, which I can’t wait to read! today I’d like to share with you a belated discovery of mine: The Agency series by Y. S. Lee. It’s a YA Historical Mystery series set in Victorian London. It was published between 2010 and 2014 by Candlewick Press (US-Canada) and Walker Books (UK). It comprises four novels (A Spy in the House, The Body at the Tower, The Traitor and the Tunnel, and Rivals in the City). In the UK the books were published under the title: Mary Quinn Mysteries. Rescued from the gallows in 1850s London, young orphan (and thief) Mary Quinn is surprised to be offered a singular education, instruction in fine manners — and an unusual vocation. Miss Scrimshaw’s Academy for Girls is a cover for an all-female investigative unit called The Agency, and at seventeen, Mary is about to put her training to the test. Assuming the guise of a lady’s companion, she must infiltrate a rich merchant’s home in hopes of tracing his missing cargo ships. But the household is full of dangerous deceptions, and there is no one to trust — or is there? Packed with action and suspense, banter and romance, and evoking the gritty backstreets of Victorian London, this breezy mystery debuts a daring young detective who lives by her wits while uncovering secrets — including those of her own past. The first book in the series won the Canadian Children’s Book Centre’s inaugural John Spray Mystery Award in 2011. The following instalments were shortlisted for various awards as well. I enjoyed reading these books because they have an authentic Victorian voice and fun plots. The main character is a strong female character who struggles with a criminal past and her Chinese origin. She’s clever, witty and tough, which I love in a heroine. I recommend these books if you like Historical fiction and fun whodunits. Have you read THE AGENCY series? What did you think? If you’ve been following this blog and if you know of my love for Victorian Fantasy, you might have guessed this post was coming… Indeed, there’s a Victorian Fantasy show on TV! This spring, Penny Dreadful airs both in the US and in the UK. Set in London in 1891, the show’s main character is a psychic (played by Eva Green), who teams up with an American actor/sharpshooter (played by Josh Hartnett), to investigate supernatural occurences. They soon come in contact with many well-known characters such as Dorian Gray, Jack The Ripper, Victor Frankenstein and his monster, Abraham Van Helsing and Mina Harker (from Dracula), etc. The title of the show refers to the 19th Century cheap, sensational publications one could buy for a penny. 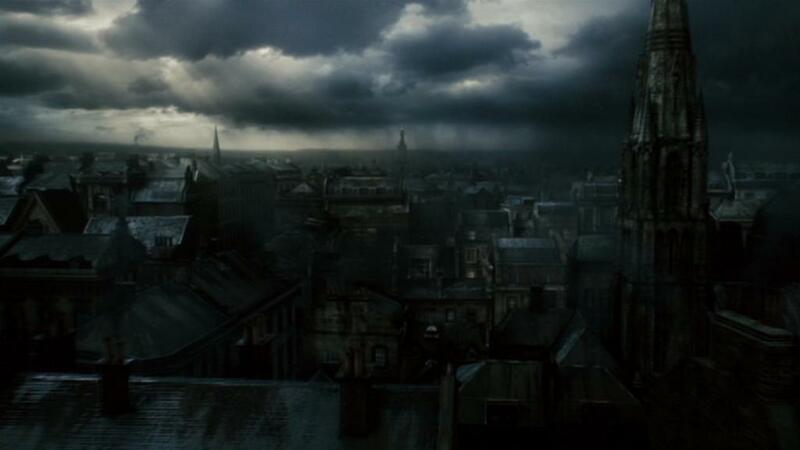 What I like about the show is that it plays the ‘Victorian London’ card very well. Everything you would expect from such a setting/era is there: the aristocratic mansions, the East End slums, the opium dens, the British Museum and its Egyptian collections, the London Zoo, the dissecting tables of the Royal London Hospital, the asylum and the theatre… among others. Familiar themes for the time period are also touched upon: a few characters attend a séance and talk spiritualism, another character is dying of consumption, another has been searching for the source of the Nile in Africa, etc. Penny Dreadful is visually stunning, with beautiful and gritty sets and amazing costumes. Each character is intriguing so far, and I’m hoping they’ll all be well developed as the story progresses. The plot is a bit scattered until now, and I’m waiting to see which direction it will take. Have you watched Penny Dreadful? What did you think? Feel free to leave me a comment below! If you’re here to enter my 600 Blog Followers Giveaway for a chance to win a copy of HALF BAD by Sally Green, please click here. Dr. Thomas Bond, Police Surgeon, is still recovering from the event of the previous year when Jack the Ripper haunted the streets of London – and a more malign enemy hid in his shadow. Bond and the others who worked on the gruesome case are still stalked by its legacies, both psychological and tangible. But now the bodies of children are being pulled from the Thames… and Bond is about to become inextricably linked with an uncanny, undying enemy. Have you read Mayhem? Is Murder on your TBR list? What are you waiting on this week?